Like iPods and iPhones? Like Game of Thrones? Why not get yourself an iPhone speaker that wouldn’t look out of place of that TV show, with the Megaphone. The megaphone boosts the sound of the iPhone 3G/3GS, iPhone 4/4S, iPod Touch (2nd generation onwards), and do so without power. 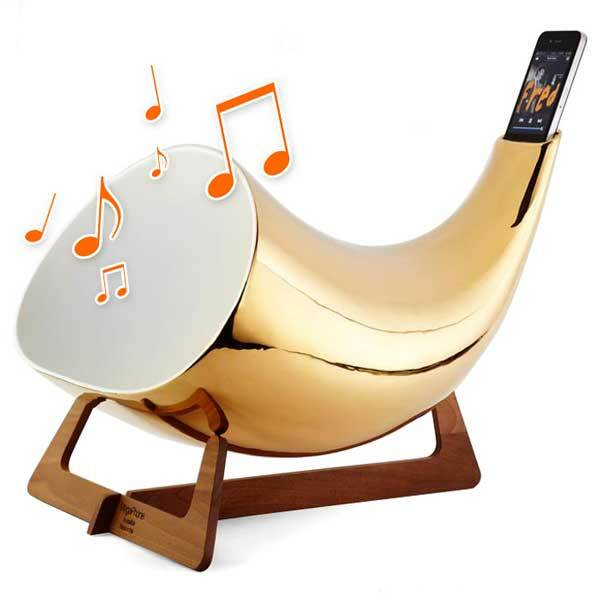 It’s just a big ceramic horn, resting on a wooden stand, that gives the tiny speakers of the iDevices a big sonic boost. The Megaphone is available in three colours, gold, black and white. Are they cheap? Not really. It’s £599.99 for the gold model, and £399.99 for the black and white colours.